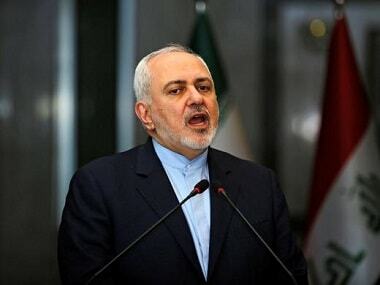 Iranian foreign minister Mohammad Javad Zarif was not informed about Syrian president Bashar al-Assad’s trip to Tehran last week and that was a reason why he submitted his resignation, the Iranian Students’ News Agency (ISNA) reported on Tuesday. The news agency cited foreign ministry spokesman Bahram Qassemi as the source of the information in its report. President Hassan Rouhani rejected Zarif’s resignation last Wednesday, bolstering a moderate ally who has long been targeted by hardliners in factional struggles over the 2015 nuclear deal with the West. “The ministry of foreign affairs did not have information at any level (about the trip) and this lack of information was maintained until the end of the trip,” Qassemi said, according to ISNA. “One of the reasons for the resignation of Dr Zarif was this type of lack of coordination with the ministry of foreign affairs. And as it has been announced before, the resignation of the honorable minister was not a private and individual issue and the goal and intent of that was a positive effort to return the ministry of foreign affairs and the diplomatic system of the country to its main place," the spokesperson said. Qassem Soleimani, the commander of the Quds Force, the branch of the elite Revolutionary Guards responsible for operations outside Iran’s borders, was present at a meeting last week between Assad and Supreme Leader Ayatollah Ali Khamenei, the highest authority in the Islamic Republic. Soleimani said last week that Zarif was the main person in charge of foreign policy and he was supported by Khamenei. Zarif tendered an abrupt resignation on 25 February and through a post on his official Instagram account, offered an apology for his "shortcomings". "I apologise for my inability to continue serving and for all the shortcomings during my term in office," he said in the message posted on his verified Instagram account. Prominent members of parliament had called for Rouhani to reject the resignation, which he eventually did on Wednesday. 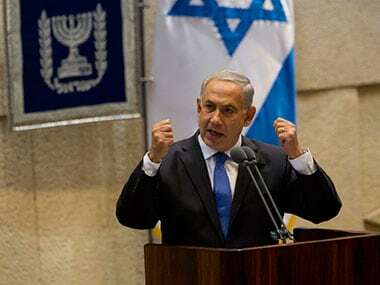 On Tuesday, he urged Iranian diplomats not to follow his lead as rumours spread of mass resignations. "I hope my resignation will act as a spur for the foreign ministry to regain its proper statutory role in the conduct of foreign affairs," state-run IRNA news agency quoted him as saying. The prospect of Zarif's departure was swiftly welcomed by Iran's foes. His ready smile and mastery of both the English language and social media have made him a formidable player on the diplomatic stage. "Zarif is gone. 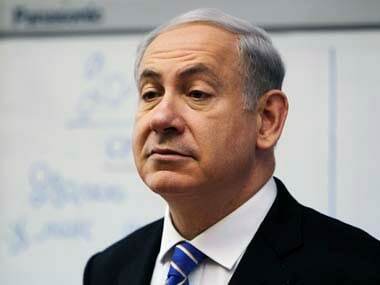 Good riddance," said Israeli prime minister Benjamin Netanyahu. 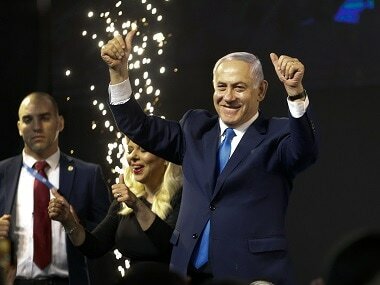 Netanyahu was a bitter opponent of the 2015 nuclear deal Zarif negotiated with Barack Obama's administration and threw his own formidable lobbying powers into an ultimately successful campaign to persuade US president Donald Trump to abandon it last May. 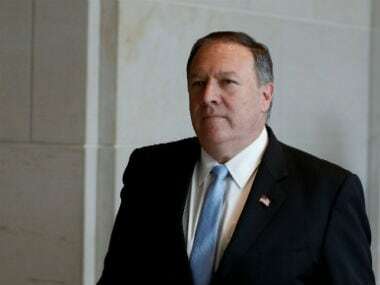 Secretary of State Mike Pompeo tweeted that it made no difference to Washington whether Zarif stays or goes. "Either way, he and Hassan Rouhani are just front men for a corrupt religious mafia," he said, adding that supreme leader Ayatollah Ali Khamenei "makes all final decisions". Mostafa Kavakebian, a reformist MP, was among those urging Rouhani to reject Zarif's resignation. "A great majority of MPs demand that the president never accept this resignation," he said on Twitter. Deputy parliament speaker Ali Motahari slammed Rouhani for allowing "interference in foreign policy" and called on him to show authority in defending Zarif and the ministry. Hardliners were not as supportive, indicating a deepening rift between Iran's political factions. "Mr. Zarif resigned to avoid the difficulties of confronting America and having to answer for the wrong path he took during his tenure," said former MP Alireza Zakani. "It is not political chivalry to avoid accountability... Zarif must stay," parliament's ultra-conservative Velayi faction said in a statement. The head of parliament's national security and foreign policy committee, Heshmatollah Falahatpisheh, told ISNA that it was not the first time Zarif had tendered his resignation. "That he has done so publicly this time means that he wants the president to accept it." The face-off between Zarif and the hardliners has intensified as time has passed, and an attempt to impeach him in parliament was dropped only in December. Zarif has publicly acknowledged that his main concern during the nuclear deal negotiations had been about opposition from inside Iran. "We were more worried by the daggers that were struck from behind than the negotiations," he told newspaper Jomhoori Eslami. The latest point of contention between Zarif and the hardliners has been the implementation of the requirements of the Financial Action Task Force (FATF) regarding money laundering in Iran. The rift on the issue, which has complicated Zarif's efforts to maintain European trade and investment despite the renewed US sanctions on Iran, has pitted the government against parliament and a key arbitration body. Zarif told Jomhoori Eslami that such partisan disputes over foreign policy were "a deadly poison".